SoundCloud is one of the biggest music sharing sites all around the world. 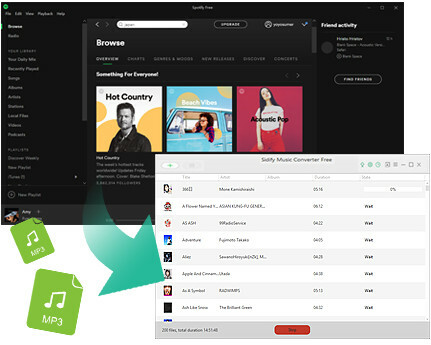 In addition to its basic features like music record and upload, remix created by electronic artists also makes great influence. It is a wonderful place where we can discovery new music, and you might be interested in how to free download music or playlists from SoundCloud, so this paper summarizes the best tips to free download SoundCloud music and playlists online, or free download them directly to your device like iOS or Android phones for offline enjoy. It is very convenient to download SoundCloud tracks or playlists through online webpage. Here we list some useful online downloader for references. Google Chrome provides many useful extensions, and SoundCloud Downloader Free is a handy extension, with which you can download SoundCloud songs or playlists fast. You just need to open SoundCloud Downloader Free extension and add it to Google Chrome by clicking Add to Chrome. 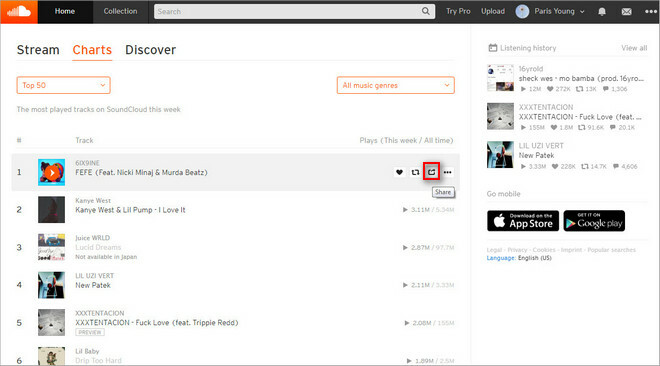 Once you open the music or playlists on SoundCloud website, the download button will appear on the page. 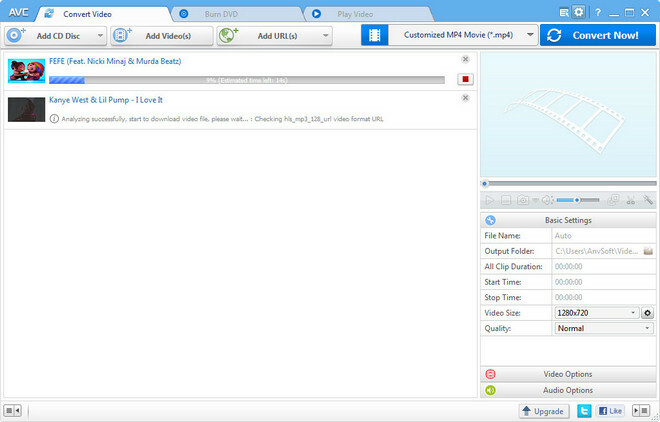 You just need to click Download button and the music or playlists will be downloaded as MP3 automatically. Anything 2 Mp3 as an online downloader, it can download music as MP3 from more than 20 different websites and it is a video or audio to MP3 converter. 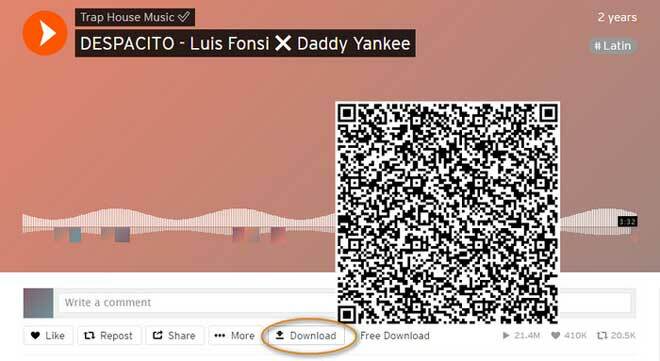 After finishing conversion, you can also use the QR Code to instantly download the music to mobile phone. 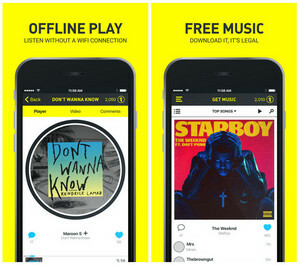 You can preview, download, and play music offline for free on Trebel Music. If you do not want to download music onine, and want to free download SoundCloud songs or playlists with high quality, Any Video Converter Freeware is a great option. It is a freeware to download music or playlists from SoundCloud and other popular music and video share sites like YouTube, Vimeo, VEVO, Facebook, Metacafe, Howcast, Niconico etc, so that you can transfer downloaded music to your other devices and convert them to other formats or burn them to CD/DVD for enjoying. Step1: Install Any Video Converter Free on your computer and launch it. Step2: Copy URLS of tracks or playlists from SoundCloud. Step3: Add URLs to Any Video Converter Freeware. Click on "Add URL(s)" button, then a dialog will pop up, just click icon, and paste the SoundCloud song or playlist link. You can continue to paste more SoundCloud tracks or playlists links as the previous steps. Click "Start Download!" to download the tracks or playlists from SoundCloud. After the download process completed, you will see the well downloaded SoundCloud music (.mp3). Support batch conversion; Keep Artist & Art Conver. 1-click to burn Spotify music to CD or share Spotify music via Email.